British folk rock guitarist, Grammy nominee, and Ivor Novello Award winner Richard Thompson makes his Tanglewood debut with a solo acoustic show on Friday, June 21 at 8 p.m. in Ozawa Hall. His evocative songcraft, jaw-dropping guitar playing, and indefinable spirit have earned Thompson a spot on Rolling Stone’s “100 Greatest Guitarists of All Time,” a Lifetime Achievement Award from the Americana Music Association in Nashville, and a Lifetime Achievement Award from the BBC Awards. In 2011, Thompson was awarded an OBE (Order of the British Empire) by Queen Elizabeth II, and in 2017, he released his 19th solo album, 13 Rivers. Tickets for the Thursday, June 27 concert with Lionel Richie range from $18-$169. Tickets for the Friday, August 30 concert with Pat Benatar & Neil Giraldo and Melissa Etheridge range from $15-$109. Tickets for the Friday, June 21 concert with Richard Thompson range from $20-$69. Tickets for the Sunday, June 30 concert with Rodrigo y Gabriela range from $15-$89. All four concerts go on sale on Friday, April 5, at 10 a.m. All tickets can be purchased through www.tanglewood.org and by calling 888-266-1200. Pat Benatar & Neil Giraldo and Melissa Etheridge, Richard Thompson, and Rodrigo y Gabriela join Live From Here with Chris Thile (6/15), Brian Wilson (6/16), Earth, Wind & Fire (6/28), Josh Groban (7/2), James Taylor and his All-Star Band (7/3 & 4), Train and the Goo Goo Dolls (8/5), Gladys Knight and The Spinners (8/28), Squeeze—The Squeeze Songbook Tour (8/29), Ben Harper & The Innocent Criminals and Trombone Short & Orleans Avenue (8/31), and Reba McEntire (9/1) as part of the 2019 Tanglewood season popular artist lineup. Pat Benatar’s staggering vocals and take-no-prisoners attitude, along with Neil Giraldo’s trailblazing artistry as a guitarist, producer, and songwriter forged the undeniable chemistry and unique sound that created some of rocks most memorable hits including “We Belong,” “Invincible,” “Love Is a Battlefield,” “Promises In The Dark,” “We Live For Love.” Together they have created two multi-platinum, five platinum and three gold albums, as well as nineteen Top 40 hits. They have sold over thirty million records worldwide and have won an unprecedented four consecutive Grammy awards. Melissa Etheridge stormed onto the American rock scene in 1988 with the release of her critically acclaimed self-titled debut album, which led to an appearance on the 1989 Grammy Awards show. For several years, her popularity grew around such memorable originals as “Bring Me Some Water,” “No Souvenirs” and “Ain't It Heavy,” for which she won a Grammy in 1992. Etheridge hit her commercial and artistic stride with her fourth album, Yes I Am (1993). The collection featured the massive hits, “I'm the Only One” and “Come to My Window,” a searing song of longing that brought Etheridge her second Grammy Award for Best Female Rock Performance. In 1995, Etheridge issued her highest charting album, Your Little Secret, which was distinguished by the hit single, "I Want to Come Over." Her astounding success that year led to Etheridge receiving the Songwriter of the Year honor at the ASCAP Pop Awards in 1996. Known for her confessional lyrics and raspy, smoky vocals, Etheridge has remained one of America’s favorite female singer-songwriters for more than two decades. In February 2007, Melissa Etheridge celebrated a career milestone with a victory in the “Best Song” category at the Academy Awards for “I Need to Wake Up,” written for the Al Gore documentary on global warming, An Inconvenient Truth. As a performer and songwriter, Etheridge has shown herself to be an artist who has never allowed “inconvenient truths” to keep her down. Earlier in her recording career, Etheridge acknowledged her sexual orientation when it was considered less than prudent to do so. In October 2004, Etheridge was diagnosed with breast cancer, a health battle that, with her typical tenacity, she won. Despite losing her hair from chemotherapy, Etheridge appeared on the 2005 Grammy telecast to sing “Piece of My Heart” in tribute to Janis Joplin. By doing so she gave hope to many women afflicted with the disease. On October 7, 2016, Melissa Etheridge released Memphis Rock & Soul, her first album since 2014’s critically lauded This Is M.E. Recorded at Royal Studios in Memphis, the album has received stellar reviews from the likes of Entertainment Weekly, Parade, Rolling Stone, American Songwriter, and more. Guitar World raved “the album is a triumphant application of Etheridge’s signature rasp and substantial guitar chops to this classic genre,” while Edge Media Network declared Melissa “is a singer who can fire it up like Janis Joplin, touch the heart like Elvis Presley and steam up the windows like her musical hero, Otis Redding.” The 12-track album features original material as well as interpretations of classic songs from the legendary Stax catalog, celebrating its artists and legacy and spotlighting the vital role Stax Records played in the Civil Rights Movement. Engineered by Lawrence “Boo” Mitchell, son of famed music producer Willie Mitchell, the album and tour includes a number of top Memphis musicians, including the Hodges Brothers. Entitled Mettavolution, the white-hot new album brings together Rod and Gab’s shimmering, hummingbird flourishes and extraordinary engine room rhythm section, laser focused on melody, energy and beat. There is not an ounce of excess baggage on the fresh, dynamic tunes that Rod and Gab present here, which blend metal, jazz, and Hispanic roots music in their own unique, unmistakable style. Mettavolution has been three years in the making, the duo going back to the heart of their music, to feel the same way they did when they first moved from Mexico City to Ireland back in 1999, searching to reconnect with the original intention and (in their own words) “the reason of why we do what we do, to share something we do with all our hearts in order to inspire, even to heal people through music”. In 2010, Rodrigo and Gabriela were invited by President Obama to perform at a reception he hosted for the President and First Lady of Mexico. Rod and Gab have also contributed to the musical soundtracks of Puss in Boots (2011) and Pirates of The Caribbean: On Stranger Tides (with Hans Zimmer) in the same year. With career album sales well in excess of 1.5 million worldwide, Rodrigo y Gabriela have established themselves as globally successful artists who are eager to write new chapters in their already illustrious story. Richard Thompson’s musical influence cannot be overstated. Having co-founded the groundbreaking group Fairport Convention as a teenager in the 1960s, he and his bandmates invented the distinctive strain of British folk rock. He left the group by the age of 21 which was followed by a decade-long musical partnership with his then-wife Linda, to over 30 years as a highly successful solo artist. In 2011, Thompson received an OBE (Order of the British Empire) personally bestowed upon him by Queen Elizabeth II at Buckingham Palace. The Los Angeles Times called him the finest rock songwriter after Dylan and the best electric guitarist since Hendrix, and Rolling Stone has named him one of “the Top 100 Guitarists of All Time.” He has received lifetime achievement awards for songwriting from Britain’s BBC Awards, the Americana Music Association, and was awarded the prestigious Ivor Novello Award. His song “1952 Vincent Black Lightning” was named one of TIME magazine’s “100 Greatest Songs Since 1923.” A wide range of musicians have recorded Thompson’s songs including Robert Plant, Elvis Costello, R.E.M., Sleater-Kinney, Del McCoury, Bonnie Raitt, Tom Jones, David Byrne, Don Henley, Los Lobos, and many more. His massive body of work includes many Grammy-nominated albums as well as numerous soundtracks, including Werner Herzog’s Grizzly Man. Thompson’s genre defying mastery of both acoustic and electric guitar along with engaging energy and onstage wit continue to earn him new fans and a place as one of the most distinctive virtuosos and writers in folk rock history. The 2019 Tanglewood season will see Boston Symphony Orchestra Music Director Andris Nelsons in residence throughout the month of July, leading 14 programs, including a first for Tanglewood—a concert performance of Wagner’s complete Die Walküre with the Tanglewood Music Center Orchestra and a star-studded cast, presented in three concerts over a two-day period, July 27 & 28. Tanglewood will also be the setting for the BSO’s Nelsons-led world premiere of Pulitzer Prize-winning composer Kevin Puts’ The Brightness of Light, a work for voices and orchestra inspired by letters between Georgia O’Keeffe and Alfred Stieglitz; it was written especially for Renée Fleming and Rod Gilfry, who will be the featured soloists. Ms. Fleming, a favorite guest artist at Tanglewood since her BSO debut there in 1991, has been named the Koussevitzky Artist for the 2019 Tanglewood season. The BSO and Andris Nelsons open the orchestra’s summer season on Friday, July 5, with Mahler’s Symphony No. 5 and Mozart’s Piano Concerto No. 22, with Emanuel Ax as soloist—the first of twenty BSO programs taking place throughout July and August. Marking a major milestone in the history and life of Tanglewood and the Boston Symphony Orchestra, the 2019 Tanglewood season will see the launch of the Tanglewood Learning Institute (TLI)—offering participants new levels of wide-ranging enrichment and education initiatives—and the opening of the major new four-building Linde Center for Music and Learning, home to the TLI’s summer programming and a site of the activities of the Tanglewood Music Center, the BSO’s acclaimed summer music academy since 1940. These new buildings will be Tanglewood’s first year-round facilities available for event and concert use by the BSO, Berkshire community, and beyond, starting in fall 2019. Offering participants an unprecedented and expansive array of more than 140 interactive and engaging cross-cultural activities and programs, the Tanglewood Learning Institute will offer visitors a sense of discovery and engagement on a scale never before offered by the festival. Notable presenters will include Madeleine K. Albright, Secretary of State (1997–2001); Pulitzer Prize-winning historian and author Doris Kearns Goodwin; cellist Yo-Yo Ma; soprano Renée Fleming; BSO Music Director Andris Nelsons; composer John Williams; and playwright Tom Stoppard, among a long list of acclaimed artists and important cultural figures of our time. 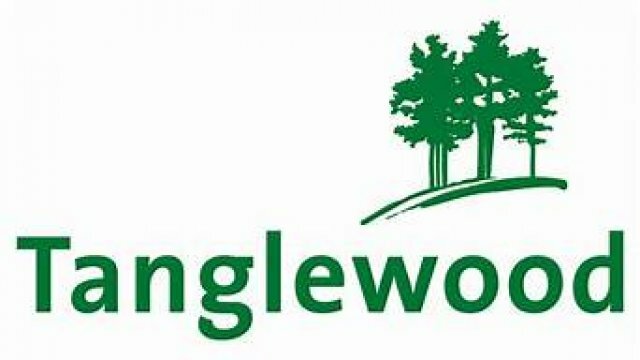 Click here for complete details about the launch of the Tanglewood Learning Institute and opening of the Tanglewood Center for Music and Learning. These major events and milestones take place during a season that also honors Tanglewood’s cherished musical traditions, among them concerts by the one and only Boston Pops, including the annual John Williams’ Film Night; a series of chamber music and recital programs in the acoustically acclaimed Ozawa Hall, celebrating its 25th anniversary season in 2019; frequent performances by the talented Fellows of the Tanglewood Music Center; and a Popular Artist series, including two appearances by one of the festival’s most beloved singers, James Taylor, on July 3 and 4. The BSO’s musical leadership, Andris Nelsons, Keith Lockhart, and John Williams, are joined by an extraordinary roster of guest artists, including beloved familiar faces—Yo-Yo Ma, Emanuel Ax, and Joshua Bell; other favorite performers—Yefim Bronfman, Christine Goerke, Hilary Hahn, Paul Lewis, Ryan Speedo Green, Thomas Hampson, Leonidas Kavakos, Ken-David Masur, Anne-Sophie Mutter, Kristine Opolais, Morris Robinson, Gil Shaham, and Jean-Yves Thibaudet; and several exciting artists making their Tanglewood debuts—Inon Barnatan, J’Nai Bridges, MILOŠ, Simon O’Neill, and François-Xavier Roth. The 2019 Festival of Contemporary Music, August 8-12, under the direction of BSO Artistic Partner Thomas Adès, boasts a tremendous array of works by composers of our time and recent history, with nine American premieres, including works by Richard Ayres, Gerald Barry, Erica Fox, György Kurtág, Hilda Paredes, Poul Ruders, and Nathan Shields, as well as a TMC-commissioned world premiere from Andrew Hamilton; there will also be a special concert dedicated to the piano works of the late Oliver Knussen. Musical highlights of the season also include Copland’s Symphony No. 3, Debussy’s La Mer, Dvorák’s New World Symphony, Elgar’s Enigma Variations, Betsy Jolas’ A Little Summer Suite, Ravel’s La Valse and Daphnis and Chloé (complete), Shostakovich’s Symphony No. 2, Strauss’s “Dance of the Seven Veils” from Salome, Joan Tower’s Fanfare for the Uncommon Woman No. 1, and an Andris Nelsons-led Verdi Requiem, as well as works by Brahms, Gershwin, Mendelssohn, Schumann, and Stravinsky, among many other favorite composers. The traditional season-ending finale of Beethoven’s Ninth Symphony, with a cast of acclaimed soloists and the Tanglewood Festival Chorus, James Burton, conductor, will be led by Giancarlo Guerrero; the program opens with Schoenberg’s Friede auf Erden (Peace on Earth) for unaccompanied chorus. In another major highlight, Yo-Yo Ma, who will be featured in three concerts during the 2019 Tanglewood season, makes a special solo appearance in the Shed, performing Bach’s Six Unaccompanied Cello Suites as part of his two-year The Bach Project, in which Mr. Ma will perform Bach’s six suites for solo cello in 36 locations on six continents. In addition to the programs of the 2019 Festival of Contemporary Music and the new Kevin Puts work, new pieces to be performed during the season include two world premieres—The Lost Words, for children’s choir and orchestra, by BSO Choral Director James Burton, featuring the Boston Symphony Children’s Choir; and André Previn and Tom Stoppard’s Penelope, for soprano and string quartet, with Renée Fleming and the Emerson String Quartet—as well as the American premiere of Avner Dorman’s Double Concerto for violin, cello, and orchestra, with Pinchas Zukerman and Amanda Forsyth. The performance of Penelope, along with André Previn’s Violin Concerto, Anne-Sophie, written for and featuring Anne-Sophie Mutter, will take place in celebration of Sir André Previn’s 90th birthday year. Beyond the schedule of performances, Tanglewood continues to offer a wide variety of discounted ticket options, among them $20 tickets for attendees under 40 and free lawn tickets to young people age 17 and under—two of the festival’s most popular ticket offerings—as well as a variety of special programs for families and children, including Kids’ Corner, Watch and Play, the annual Family Concert, which will feature the Boston Symphony Orchestra under the direction of Thomas Wilkins on July 27, and Summer Sundays, an afternoon of entertaining and educational activities planned around the weekly Sunday-afternoon BSO concerts. Tickets for the 2019 season—regular-season ticket prices range from $12-$130—go on sale to the public on Sunday, February 10 at www.tanglewood.org and 888-266-1200. Tickets for James Taylor’s concerts on July 3 & 4 go on sale on Monday, January 28. Visit www.tanglewood.org for complete information about concert programming, ticket purchasing, and the many family- and children-centric programs Tanglewood offers each summer.